Happy Happy April Friends! 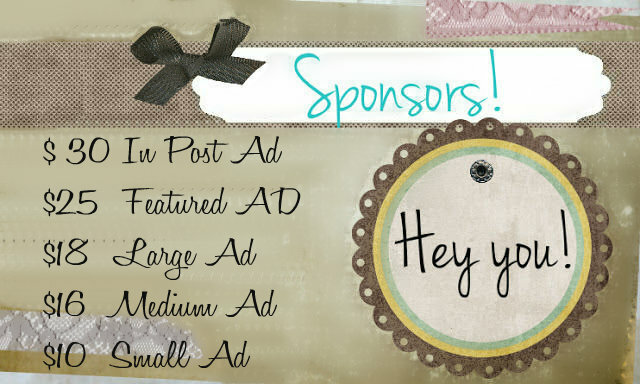 I am just starting to open up sponsorship and there are April slots open! Just head over to my Sponsor Page and pick out which slot you would like! Also since this is totally new.. if you just want to swap buttons... let me know by sending me an email to mrskishajaggers@gmail.com and I will send you my code. If you need a button made.. let me know that too and I will be happy to help! I hope this will bring all of us blogger friends together more. I think it will be a great way to gain exposure and make new friends.. I hope you sign up!